At its meeting on December 18, the Brunswick Town Council granted Bowdoin permission to discontinue a section of Pine Street between Bath Road and Bowker Street. The 7-1 vote came after several weeks of conversations, during which some town residents expressed concern about increased traffic on residential streets. The section of Pine Street will be replaced with a 9,000-square foot athletic facility adjacent to Whittier Field, which will house locker, training and equipment rooms. 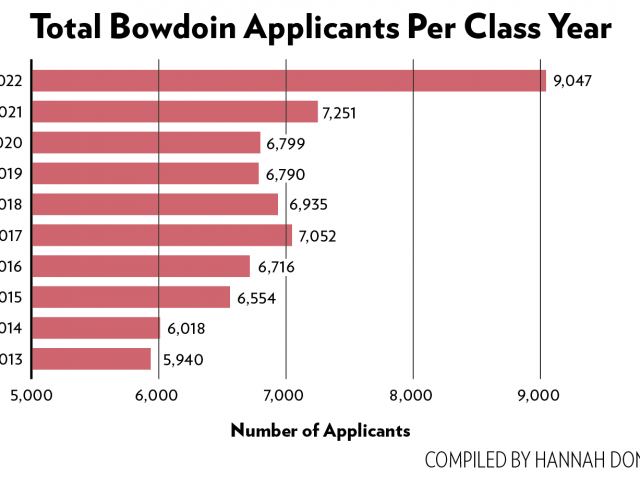 The project is the second phase of an upgrade to Bowdoin’s athletic facilities. Last summer, the College made upgrades to Whittier Field, Hubbard Grandstand and Magee-Samuelson Track. The College will also build a connecting road between Bath Road and the remaining Pine Street through what is currently a wooded area. Ladd House, one of the eight College Houses on campus, will be senior-only housing next year if enough rising seniors apply next week. The decision to convert the House, traditionally occupied by sophomores, into senior housing was proposed by a group of juniors, and occurred amid numerous conversations about how to make College housing more appealing to upperclassmen.